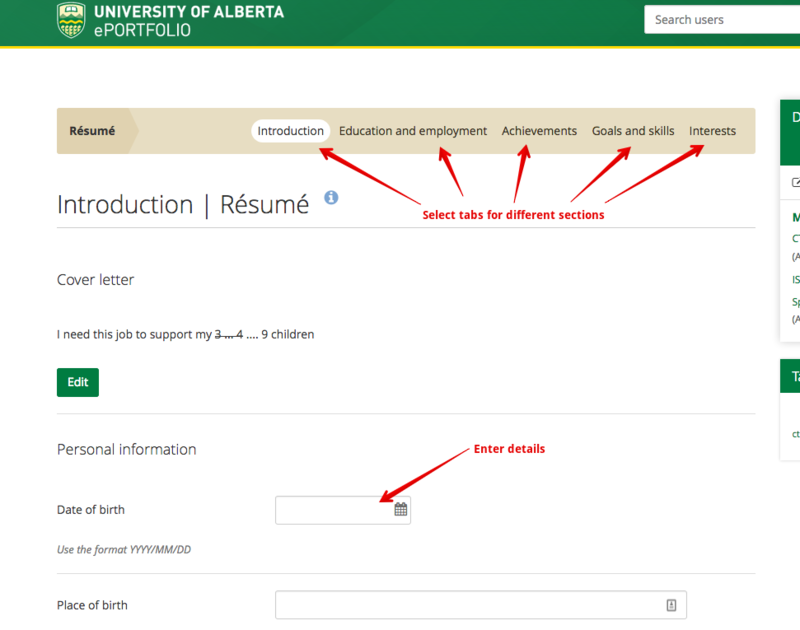 The ePortfolio system allows users to create an online resume that they can attach to any of their portfolio pages or collections. 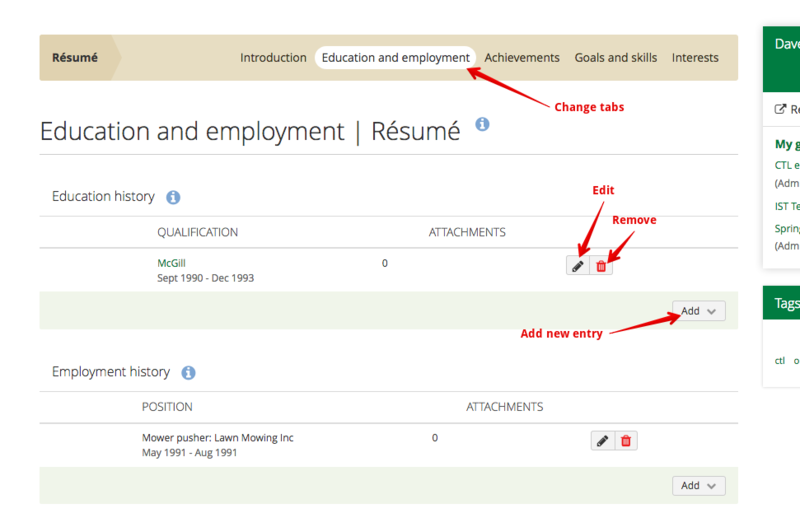 Resumes can be accessed by opening the top right navigation dropdown, selecting Content, and clicking Résumé. 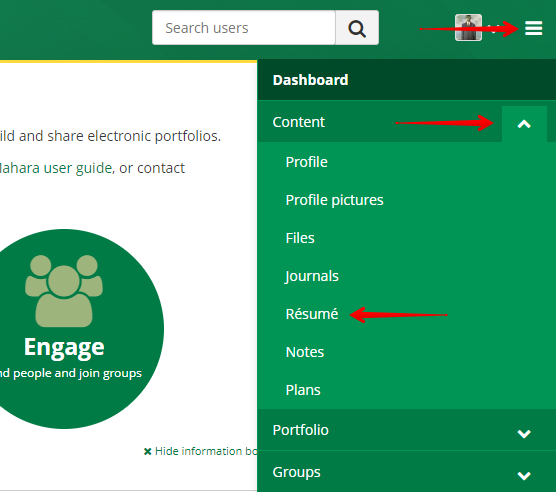 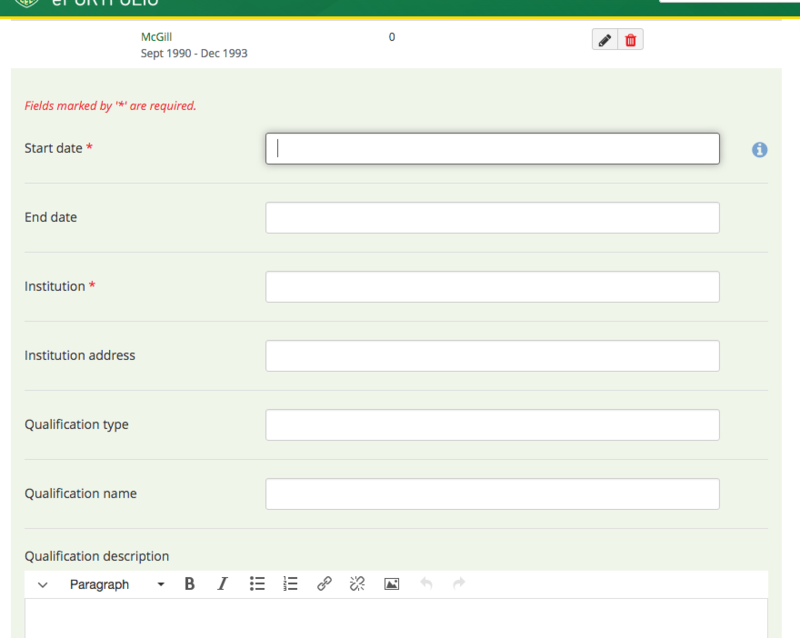 Once added, the ePortfolio system treats resumes just like any other piece of content and they must be included in a page or collection for other users to view it.